Problem: The big dance is hours away, and you've got an erupting volcano on your nose. Solution: Don't pop! 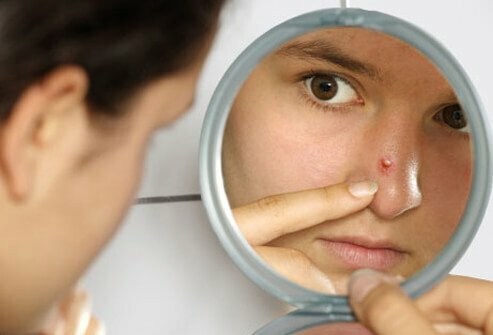 Picking at a pimple will only make it more glaring. Wash with a gentle cleanser and use a benzoyl peroxide or salicylic acid cream. Apply a light layer of oil-free, "noncomedogenic" cover-up, which won't block your pores and cause more eruptions. Problem: You meant to get a tan, but you burned instead. Now your skin is red and peeling. Solution: A moisturizer containing aloe may help ease the pain and make your flaking skin less noticeable. Peeling generally lasts a few days, as your body removes the damaged skin. For your skin's health and to avoid burning in the first place, wear sunscreen with a broad spectrum sunscreen (with a SPF of at least 30) when you go outside and be sure to reapply it every two hours while out in the sun. Problem: Your arms look like your mom's fur rug! Solution: First, ask your mom or aunt whether you truly have too much arm hair. Teens can obsess about body features that others consider quite normal. If you still want to take action, try a depilatory, which removes hair with chemicals. Ask your doctor which kind is best for you. Use a moisturizer afterward to prevent irritation. Don't shave arm hair -- it will grow in stubbly. 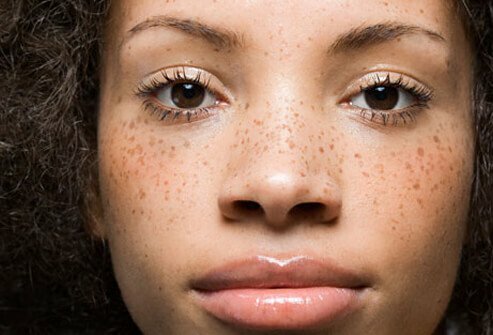 Problem: The freckles dotting your nose make you look so cute -- just like a little kid. Solution: To prevent new (and darker!) freckles, always wear sunscreen. For a quick and easy fix, try a concealer. Freckles should fade as you get older. If they really bother you, reach for face creams with natural brighteners, such as mulberry or vitamin C. Best bet? Embrace your cuteness. Problem: The humidity rises, and you look like you stuck your finger in an electric socket. Solution: If you don't like the look, you can tame the frizzies with a moisturizing shampoo and conditioner. Before you style, smooth an anti-frizz serum or cream on wet hair. Use a brush with natural oils in the bristles -- boar's head brushes work well. For extra smoothness and shine, massage a few drops of vitamin E into your scalp once a week. Problem: It's picture day, and your red, splotchy face is nowhere near photo ready! 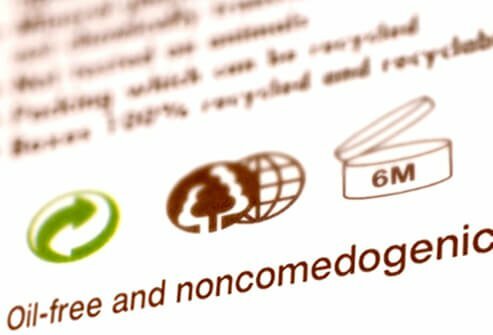 Solution: You can smooth uneven skin tone with a noncomedogenic concealer. Or for a lighter touch, try a tinted moisturizer. 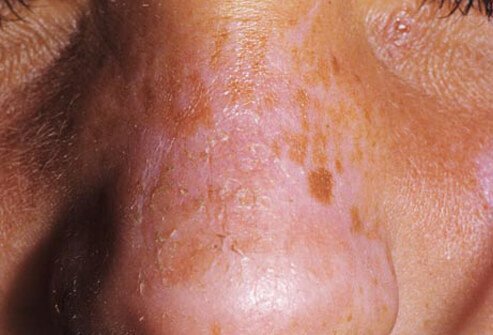 If you have a rash that doesn't go away, see a dermatologist. You could have eczema or an allergic reaction to your detergent, shampoo, or moisturizer. You may need a medicated cream to clear it up. Problem: He's going in for the big first kiss when your dry, chapped lips stop him in his tracks. Solution: Don't lick your lips. Instead of adding moisture, it will dry them out even more. Drink eight glasses of water a day to keep your whole body hydrated. Protect your most kissable asset with a layer of fragrance-free lip balm containing sunscreen and moisture-rich ingredients like beeswax, lanolin, or petrolatum. Don't share lip balm since it's a good way to spread cold sore viruses and more. Problem: Your friend leans in and asks, "What's that thing on your lip?" You're horrified. Solution: That red, blistery bump on your lip is a cold sore, caused by the herpes simplex virus 1. It should go away on its own in about a week. To ease the pain and burning, try a cool compress or put ice on it. Use lip balm to keep the area soft and prevent cracking. Hold off on kissing anyone -- cold sores are contagious.You can get prescription anti-viral medication in ointment or pill form. Problem: You feel like there's a big furry caterpillar stuck in the middle of your face. 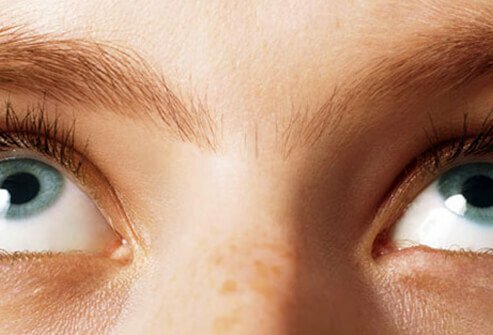 Solution: Plucking is an easy, precise way to get rid of overgrown eyebrows. Clean the area first with rubbing alcohol. Use sharp, slanted tweezers to grab hairs without pinching your skin. Follow the natural line of your brow. Exfoliate to get rid of any ingrown brow hairs. Problem: Your skin is so shiny it looks like you coated it in baby oil. Solution: Don't scrub your skin -- it will only lead to more oil production and breakouts. Wash with a gentle cleanser every day and exfoliate twice a week. To control greasiness, use an oil-free moisturizer and water-based makeup labeled "noncomedogenic," meaning that it won't clog pores. You can use blotting papers to rid your skin of excess oil. Problem: It's sandal season but you're still in sneakers. You don't want anyone to see your dry, cracked heels. Solution: Your hand moisturizer may not be enough to heal scaly feet. Try this overnight treatment: Before bed, smear your feet with a thick cream containing glycerin. 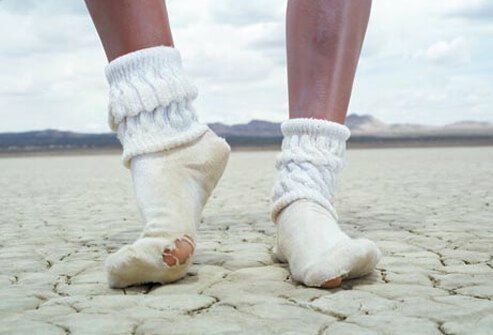 Put on cotton socks and leave the cream on your feet while you sleep. You can seek stronger treatment through a dermatologist. 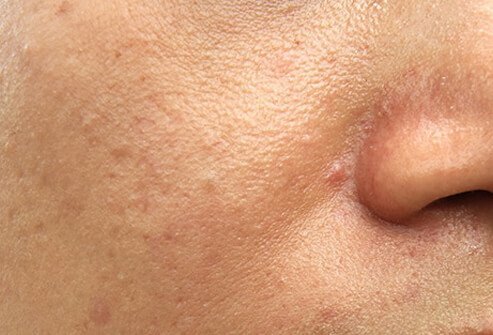 Problem: Your once healthy, glowing skin is now rough, scaly, and itchy. Solution: Turn down the heat! Hot water can rob your skin of the essential oils that keep it moisturized. Keep showers short. Use a gentle, fragrance-free cleanser and don't scrub. After your shower, rub on an ointment or cream moisturizer that contains urea or lactic acid, which will help your skin hold water and stay moist. Problem: You shave, and the next day thick, dark hair is sprouting up again! Solution: To keep hair off for longer, try waxing. It hurts a little and can irritate the skin, but it lasts up to six weeks. Be careful: Hot wax can cause burns if not used properly. You have to grow out your hair at least a quarter inch before you wax, so prepare to wear jeans. Try room temperature wax. Problem: You can't raise your hand in class because everyone will see the ugly wet stains under your arms! Solution: An antiperspirant will plug up your sweat ducts and stop some of that embarrassing wetness. Choose a product that includes deodorant to prevent your sweat from stinking, too. Apply it in the morning after you get showered and your skin has dried. 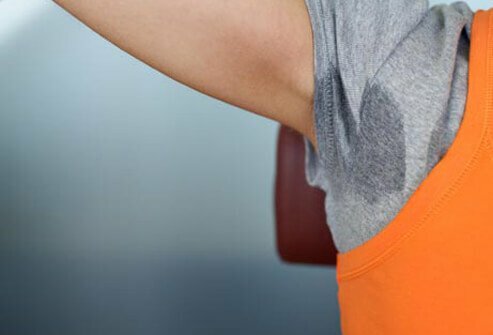 But remember, sweating is an important body function to help you cool down when you're hot. Problem: You want to wear gloves -- in July -- to cover that ugly wart on your finger. Solution: Warts may not be attractive, but they're also not dangerous. And most will go away in time. If you're short on patience, over-the-counter treatments are available. Look for products that contain salicylic acid as an active ingredient, and be sure to follow the directions carefully. Protect the skin around the wart with petroleum jelly. Problem: You can't wear black. It shows off the embarrassing white flakes on your shoulders. Solution: To control dandruff, switch to a shampoo with ingredients like selenium sulfide, tar, or zinc pyrithione. Leave the shampoo in for 5 minutes to give it time to work. You may need to use it two or three times a week until the dandruff clears up. See your doctor if this doesn't work. Problem: You pick at them all day, but split ends still won't go away. Solution: Get right to the root of split ends: over-styling. Hold your blow dryer at least 6 inches away from your head and turn it off when your hair is dry. And try not to blow dry every day. Avoid bleaching and straightening treatments, which can damage hair. Use a good conditioner to keep your hair moisturized. 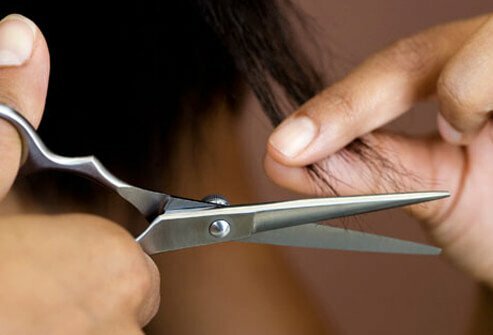 To get rid of split ends, don't pull them -- get a haircut. 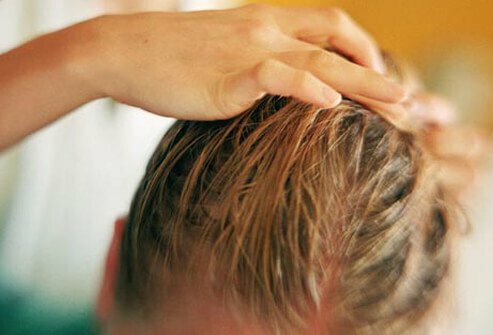 Problem: Your hair is so oily, it looks wet when it's dry. Solution: Wash your hair every day to remove excess oil, but protect it from damage by using a gentle shampoo and light conditioner. 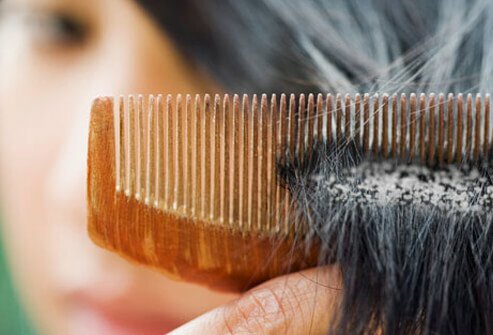 Don't brush too much -- it will release more oil from your scalp. Go lightly on the gels and other styling products, which weigh hair down even more. Problem: Anyone who casts his eyes your way is certain to notice the moles on your face. Solution: Most people have between 10 and 40 moles. Even celebrities like Jessica Simpson and Angelina Jolie have moles. Moles are perfectly normal, but they can turn cancerous, so you need to watch that yours doesn't grow or change color. If your mole really bothers you, a dermatologist can remove it. Don't have the money to buy expensive beauty products? Use what you have at home! 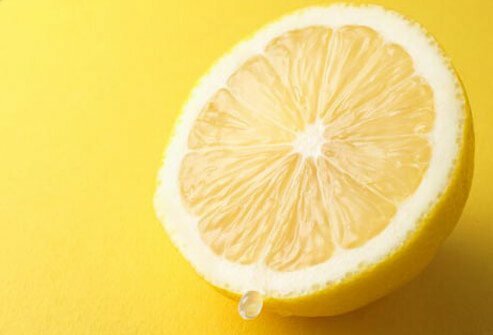 Squeeze lemon juice into your hair, then go out in the sun for a natural lightening effect. Mix 2 tablespoons honey with 1/2 cup rolled oats and 1/4 cup plain yogurt to make a natural skin exfoliator. To moisturize dry elbows and knees, dip into a can of the vegetable shortening used for baking, and rub it on dry spots. Ashton, R. Differential Diagnosis in Dermatology, Radcliffe Publishing, 2005. Blackstone M. Girl Stuff: A Survival Guide to Growing Up, Houghton Mifflin Harcourt, 2006. Brown, B. Bobbi Brown Beauty Rules, Chronicle Books, 2010. Catton, P. How to Live Better with Less, Workman Publishing, 2009. Draelos, Z. Cosmetic Dermatology: Products and Procedures, John Wiley and Sons, 2010. Draelos, Z. Hair Care: An Illustrated Dermatologic Handbook, Taylor & Francis, 2005. Drayer, L. The Beauty Diet: Looking Great Has Never Been So Delicious, McGraw-Hill Professional, 2008. Gonzalez, A. Cosmetology, Global Media, 2007. Green, J. Clean it! Fix it! Eat it! Easy Ways to Solve Everyday Problems With Brand-Name Products You've Already Got Around the House, Penguin,2001. Ricciotti, H. The Real Life Body Book: A Young Woman's Complete Guide to Health and Wellness, Random House Digital, 2010. Roberts, J. Clinical Procedures in Emergency Medicine, Saunders Elsevier, 2009. Roppatte, V. Cool Hair: A Teenager's Guide to the Best Beauty Secrets on Hair, Makeup, and Style, Macmillan, 2004. Schleicher, S. Skin Sense! : A Dermatologist's Guide to Skin and Facial Care, iUniverse, 2004. Scott, S. The Hair Bible: The Ultimate Guide to Healthy, Beautiful Hair Forever, Simon and Schuster, 2003. Scully, S. Atlas of Orofacial Health & Disease in Children and Adolescents, Taylor & Francis, 2002. Thomas, K.S. Health Technology Assessment, August 2006. Turkinton, C. The Encyclopedia of Skin and Skin Disorders, Infobase Publishing, 2007. University of Iowa Hospitals & Clinics. Vejjabhinanta, V. Lasers in Medical Science, November 2010.